Double denim, frayed, vintage, patchwork, washed, have it as you will. 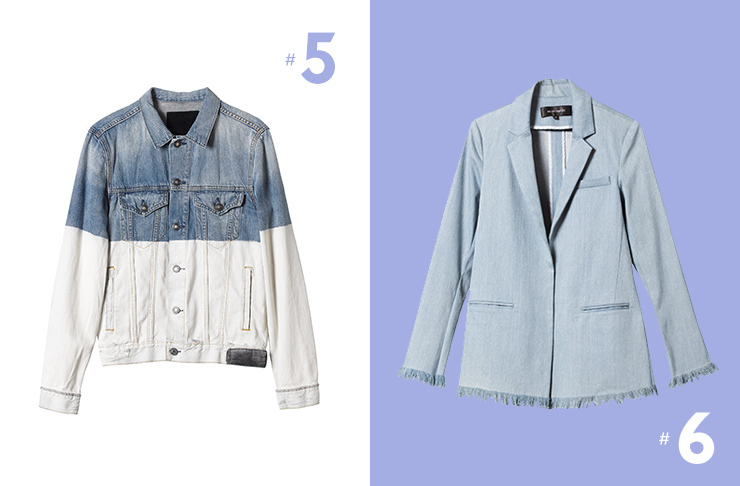 Denim jackets have officially made their way out of the op shops and into our wardrobes, and we’re totally digging it. For some, all it requires is raiding your parents wardrobes, for those of us not so lucky ones, you can visit an op shop or purchase one at full price to ensure it’s on trend. We thought we’d do the hard yards for you, because it can be difficult at times to find what you need. 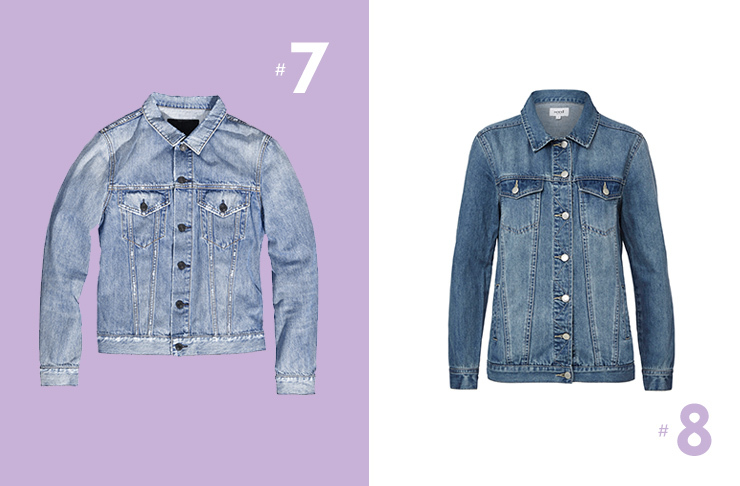 Here, we bring you eight of the best denim jackets. This patchwork denim jacket from Levi’s pays homage to the city of vintage denim—if you haven’t been shopping on Melrose Ave you haven’t lived. 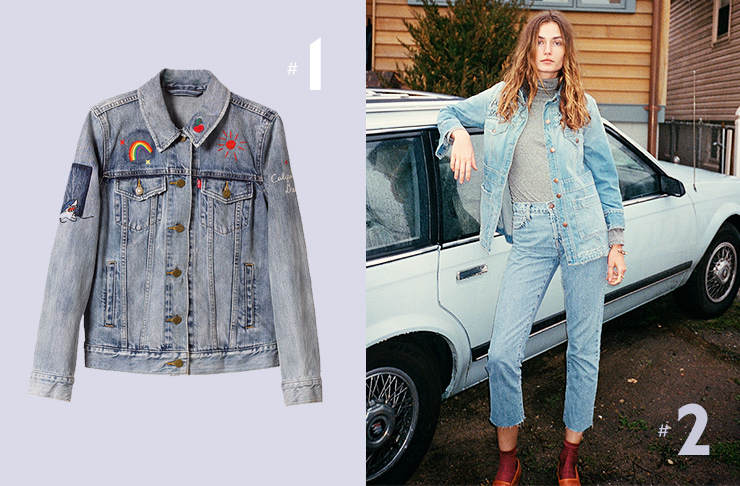 We can’t believe we’re saying this but double denim has made its way back around the fashion circle and is full trending again. We love this look from Current Elliot, which is now stocked at Workshop. Ah the good ol’ crop style. 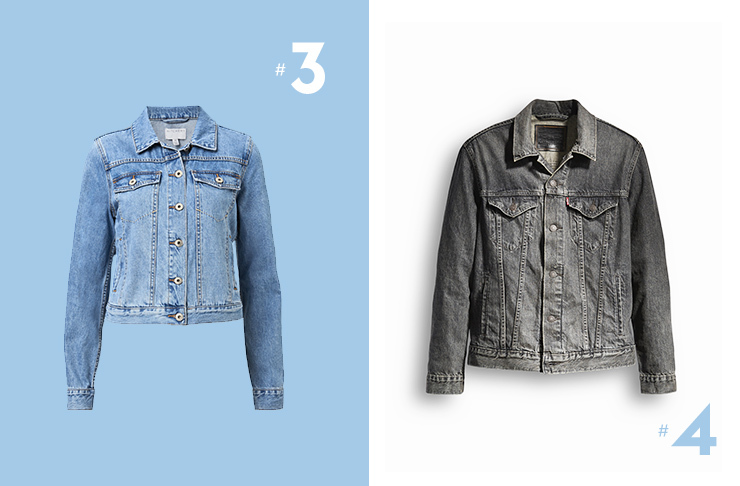 If you’re on the short side then a cropped denim jacket may be your best bet. It’ll be the most flattering style of the lot, nipping in just below the waist. We love this one from Witchery. This one’s for the men. Opt for a black, faded out denim jacket for a biker gang sorta style. This one from Levi’s is a good place to start. If you want to be a bit more bold than the average joe, then look to this Neuw denim men’s jacket, which looks as though half of it has been dipped in paint. Instead of the old vintage looking denim jacket, go for a more structured style, aha, a blazer! Julian Danger’s denim blazer keeps us right on trend with its frayed hemline and cuffs. Ah, who doesn’t love a little number that looks vintage, but actually isn’t? We do! Because vintage shopping can be a menial task at times, and we can get caught up in thinking something’s cool when it actually isn’t. Neuw denim takes away the hard yards for us and presents us with a perfectly new, but vintage looking jacket. For a deeper denim jacket, that doesn’t look so white-washed and vintage, go for this one from Seed. We love this deep blue colour that’s going to be a classic for years to come. Backing the bomber? Here are 8 Of The Best: Bomber Jackets.